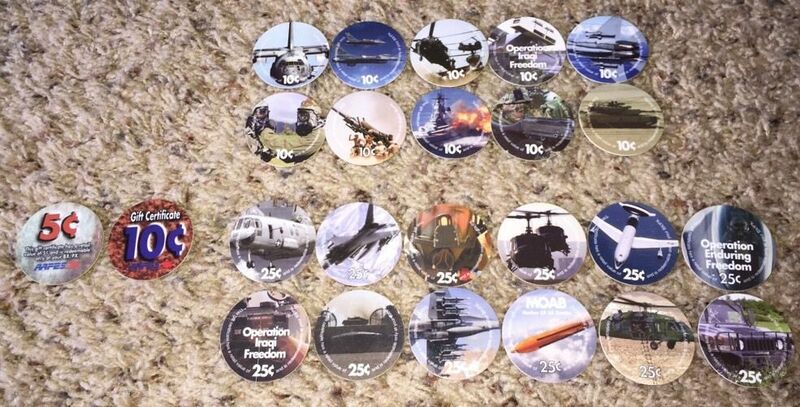 2017 AAFES POGS have been released ?? 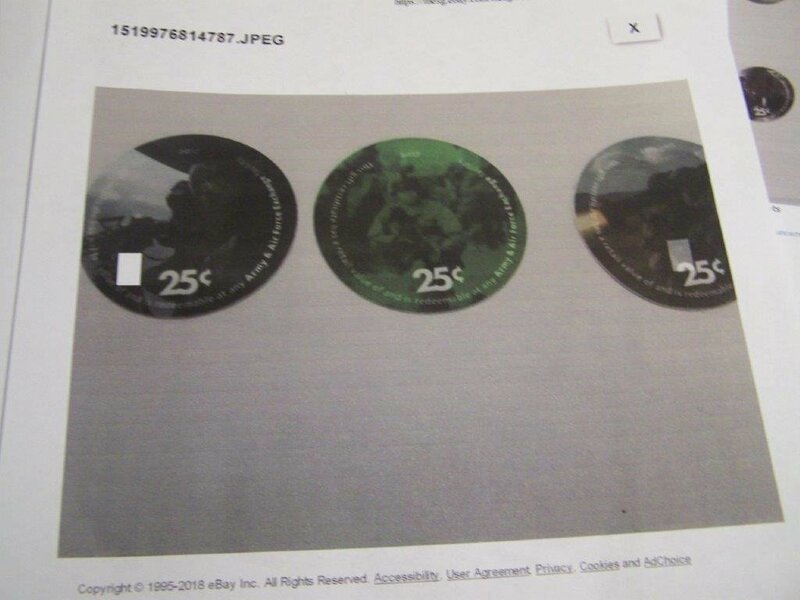 That would be the 16th Printing . I am looking for some if some one should come across them. Thanks for the read. 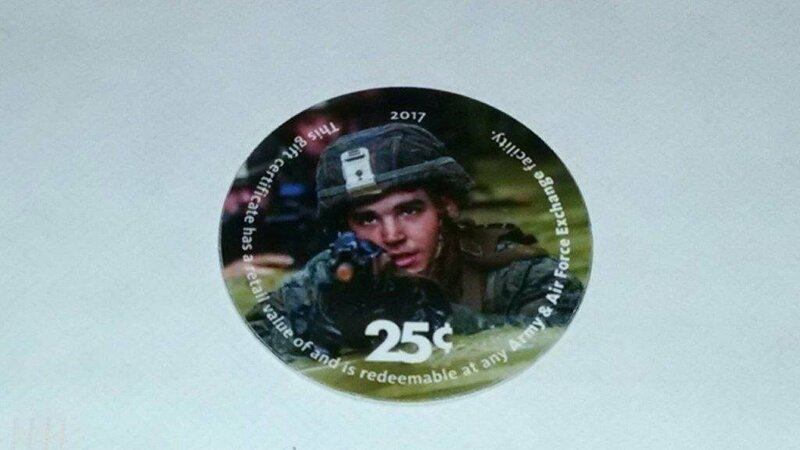 2017 AAFES POGS have been confirmed. Here are a few photos. 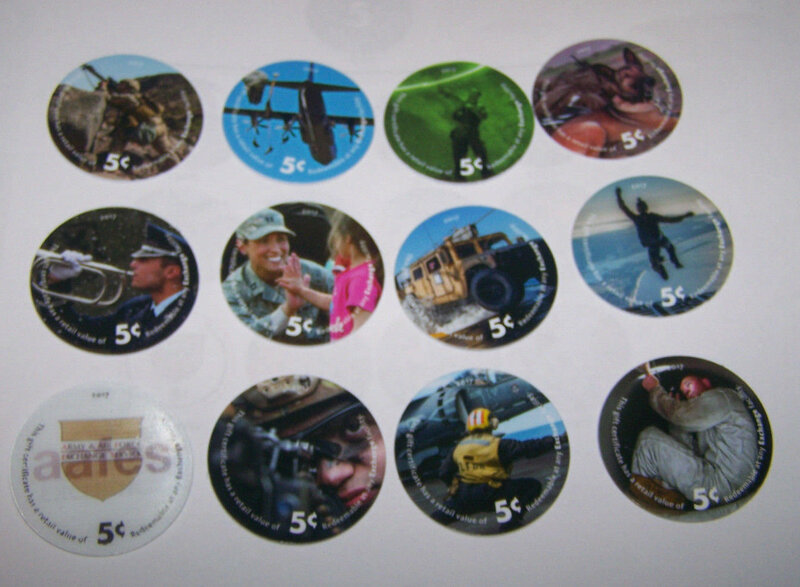 I have only seen 25c Aafes pogs..
Just recently received my 5th of 12 , 2017 AAFES Pogs 25c. 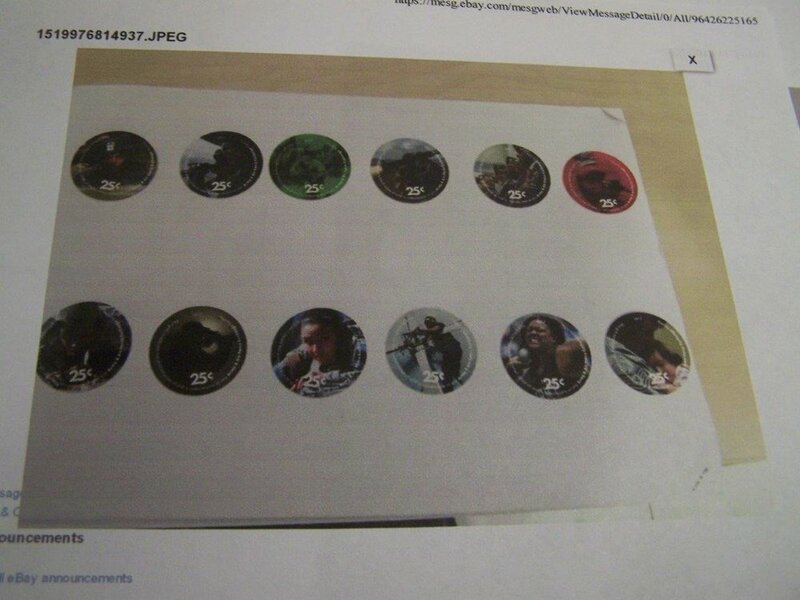 Working towards the complete printing. Where do you get these pogs? 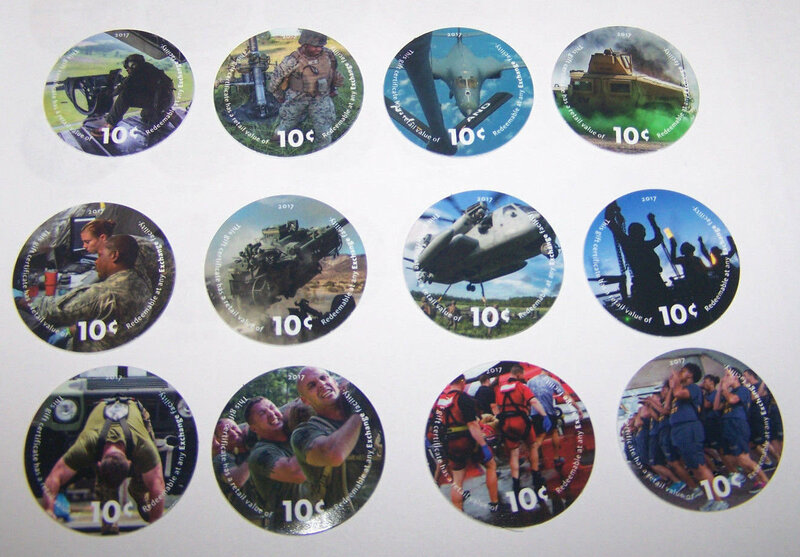 The Pogs can be acquired by knowing a service member or someone in a contingency area across the pond, or you can buy them off of Ebay. Let me know if you are interested in Purchasing some . I have been over to Iraq and Afghanistan a few times. Good Morning ! I am a Logistics Management Specialist. Retired military now working for the JPEO CBRND..